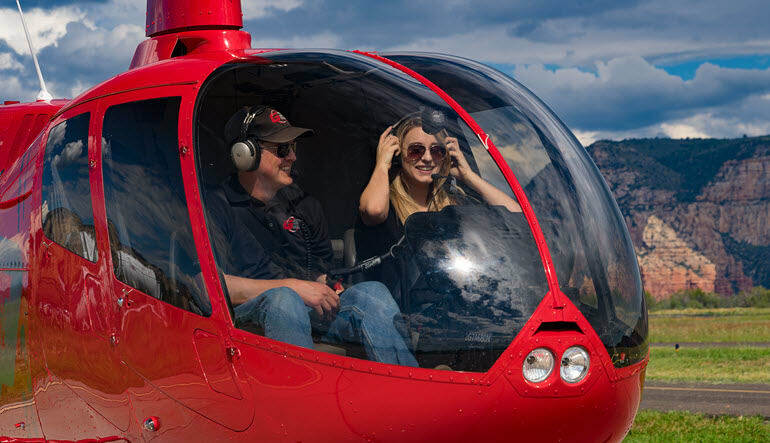 This 50-minute helicopter tour over the Greater Sedona Area is dream flight for photographers. The canyons, rivers and desert sprawls painting this journey make it unforgettable! 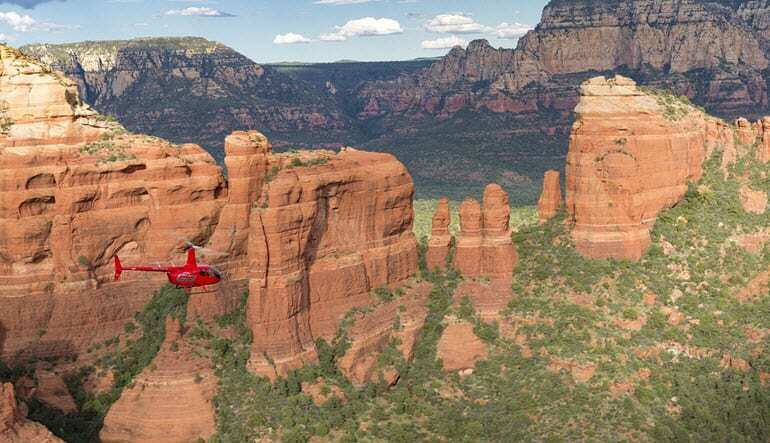 This 50-minute helicopter tour over the Greater Sedona Area is dream flight for photographers. 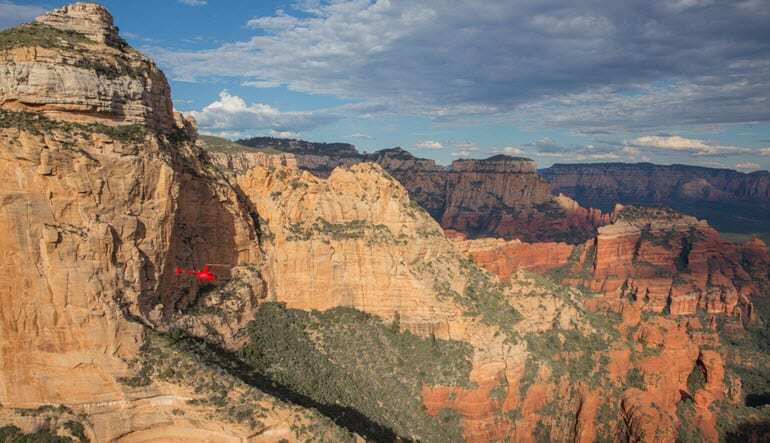 The canyons, rivers and desert sprawls painting this journey make it one of the most striking aerial excursions in America. Learn all about the landscapes from your pilot as you make your way to the nearly 8,000-foot Mt. Mingus. 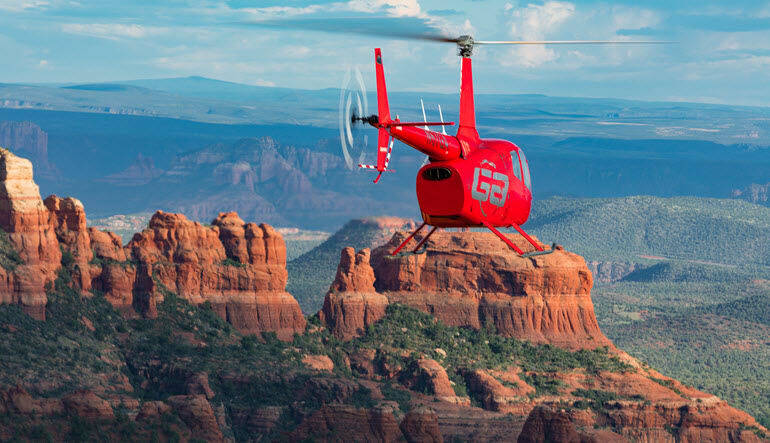 Explore Sedona on a 50-minute helicopter tour! Head out toward Sycamore Canyon. As you pass the second largest canyon in Red Rock Country, catch a glimpse of Verde River. The next stretch brings you panoramic views of the Sedona desert. At Robber’s Roost, you’ll discover the old hideout of Butch Cassidy and the Sundance Kid! Soar toward the adventure’s standout site: Mingus Mountain! Stare to the side of the looming wonder and spot the old mining town of Jerome! Your Robinson R44 helicopter is spacious, super comfortable and features big windows that ensure you don’t miss a thing! Pack your camera and get up there! Spots fill up quick so secure a space now.